Bold and bright or soft and subtle, beautiful color is what gives a home soul. Life is so much better when everything is in its place. 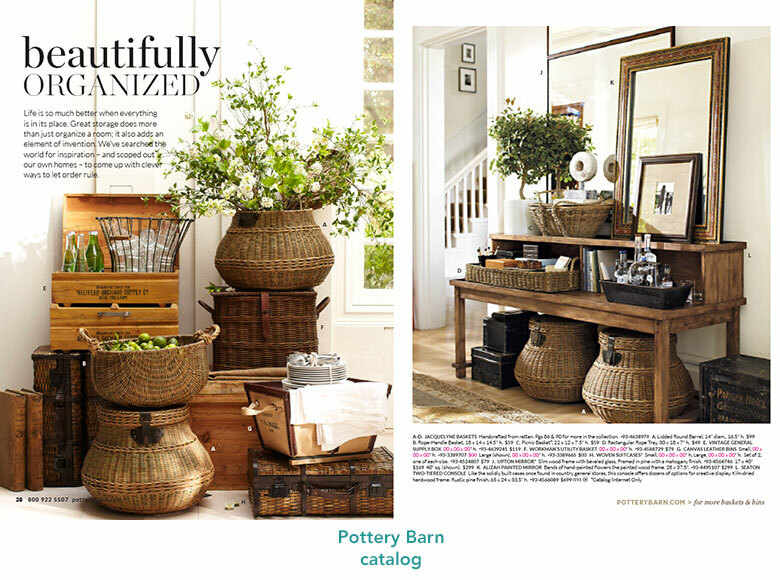 Great storage does more than just organize a room; it also adds an element of invention. We’ve searched the world for inspiration – and scoped out our own homes – to come up with clever ways to let order rule. The greens are fresh, the eggs are brilliant, and the locals are extra furry. 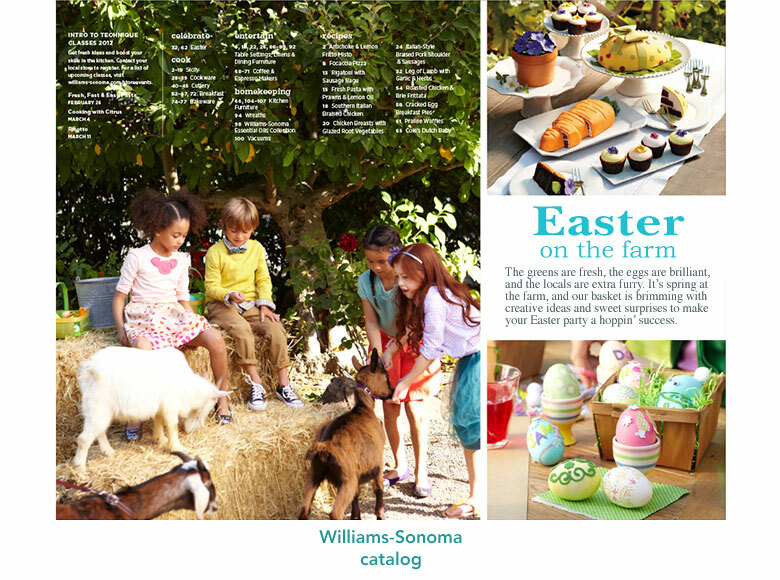 It’s spring at the farm, and our basket is brimming with creative ideas and sweet surprises to make your Easter party a hoppin’ success. Whip up a batch of breakfast classics. 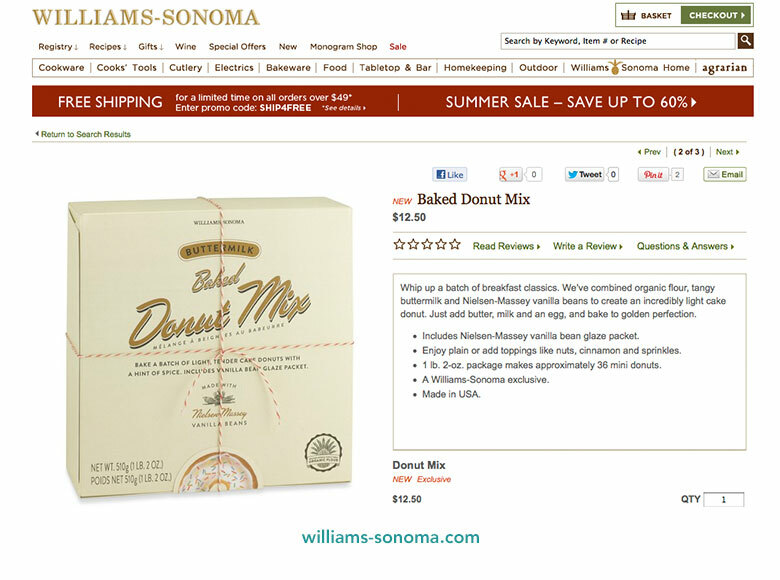 We’ve combined organic flour, tangy buttermilk and Nielsen-Massey vanilla beans to create an incredibly light cake donut. Just add butter, milk and an egg, and bake to golden perfection. Like you, we believe that everything in your baby’s world should be soft, soothing and gentle. That’s why we created our new Organic Cotton Collection, made of 100% pure organic cotton that’s irresistibly soft and entirely free of dyes and chemicals. Each relaxed design is beautifully made, completely natural and comforting to baby’s delicate skin. As parents ourselves, we take special care to design all of our collections with that same quality and comfort. Look inside for everything you need to make your baby’s world a place you both love – pure and simple. You, your friends, your space. 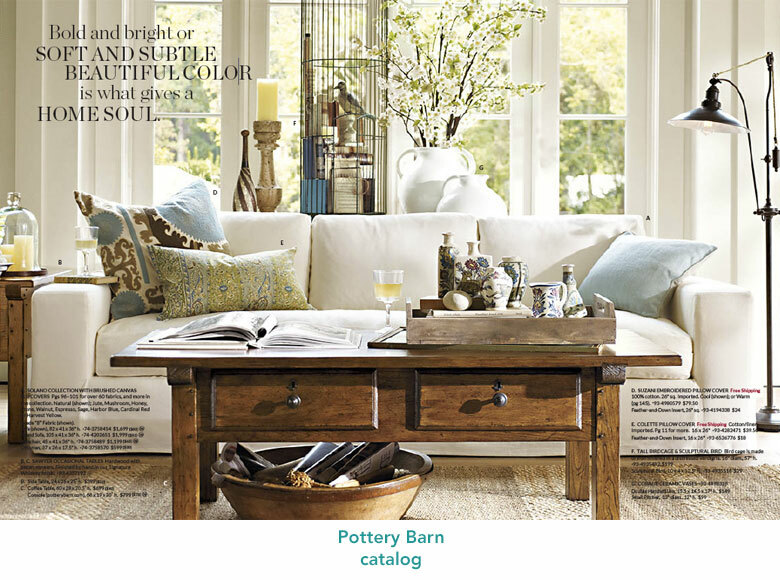 Introducing PBteen, the newest catalog from Pottery Barn. All of our designs – from the perfect shag rug to the best bedding ever – are specially made for the way teens live. We also have furniture, pillows, frames, CD racks . . . This is the stuff that fits your world. Always a step ahead in the realm of artistic endeavors, the French have a way of bringing pure exuberance to the simplest works of art. 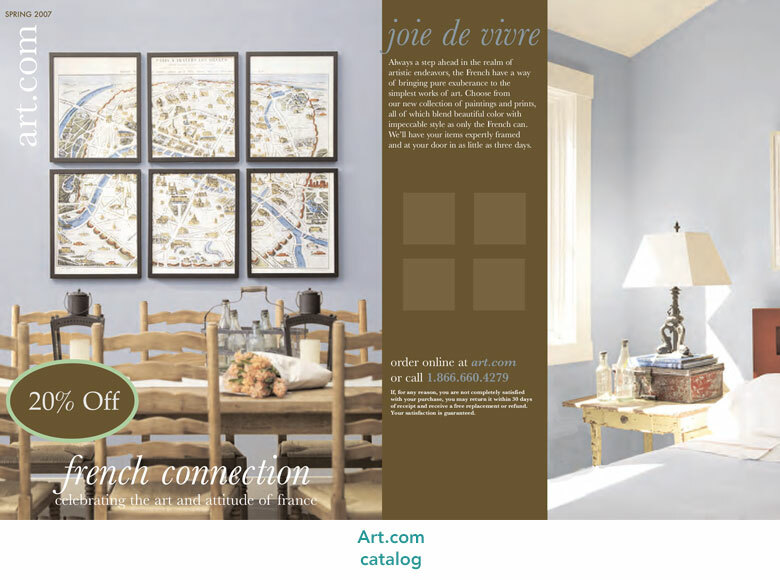 Choose from our new collection of paintings and prints, all of which blend beautiful color with impeccable style as only the French can. This summer, travel the world. 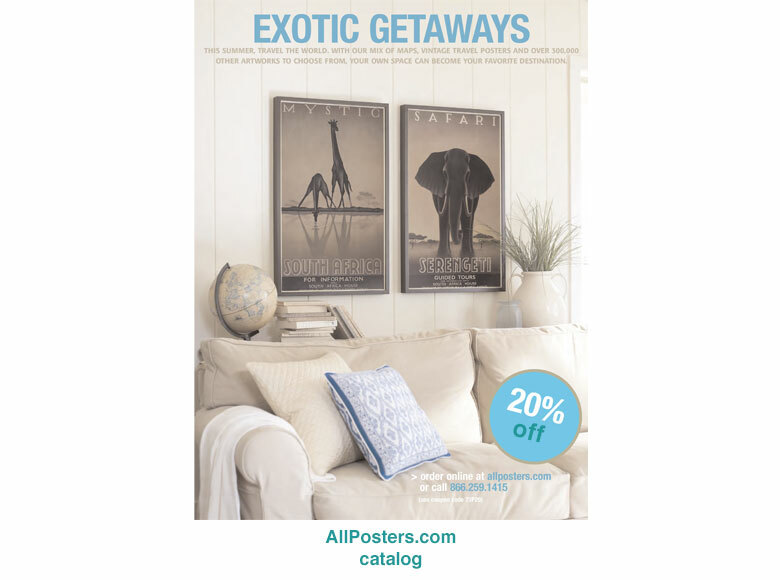 With our mix of maps, vintage travel posters and over 300,000 other artworks to choose from, your own space can become your favorite destination. 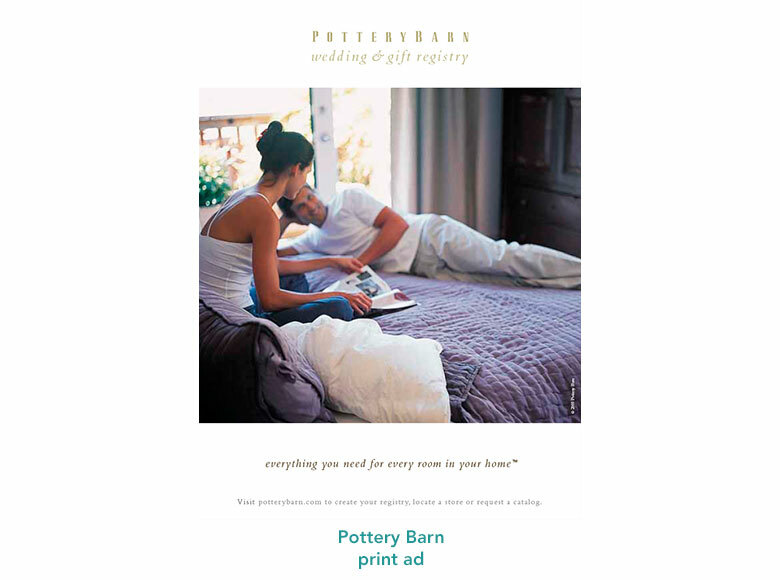 Where couples get the gifts they want most. 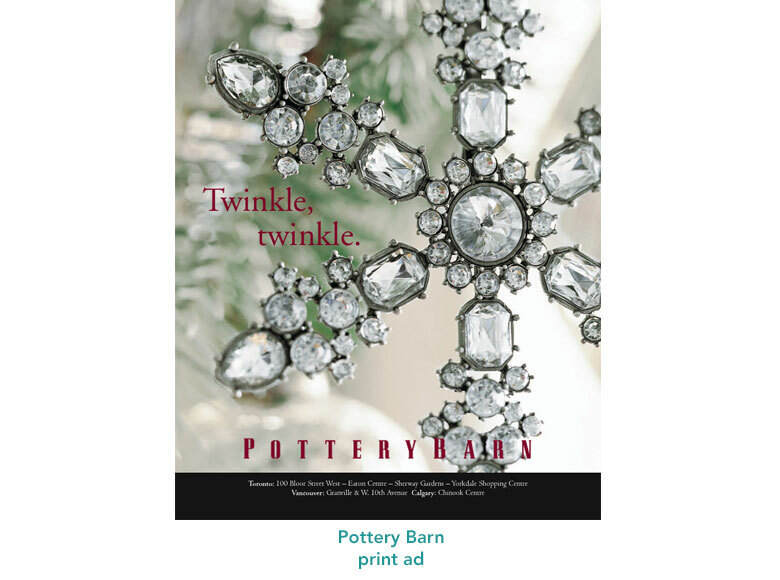 Making a wish list for the home of your dreams is easy at Pottery Barn. 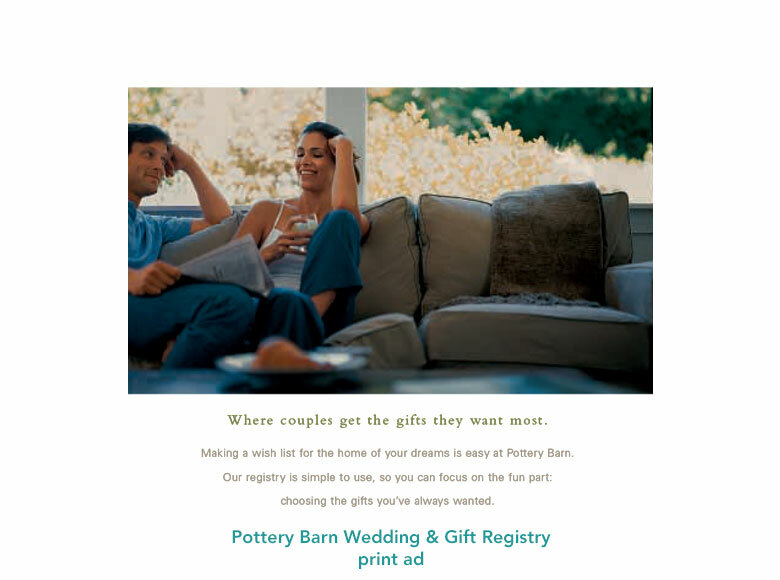 Our registry is simple to use, so you can focus on the fun part: choosing the gifts you’ve always wanted. 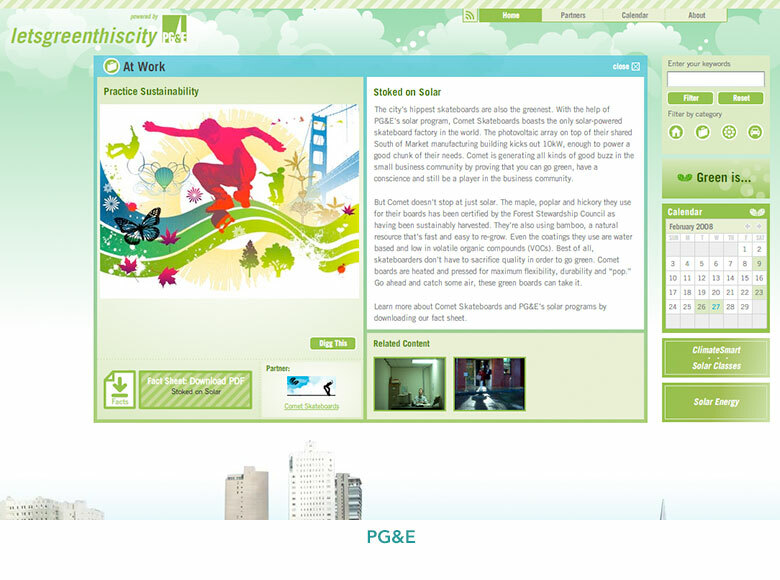 The city’s hippest skateboards are also the greenest. With the help of PG&E’s solar program, Comet Skateboards boasts the only solar-powered skateboard factory in the world. The photovoltaic array on top of their shared South of Market manufacturing building kicks out 10kW, enough to power a good chunk of their needs. Comet is generating all kinds of good buzz in the small business community by proving that you can go green, have a conscience, and still be a player in the business community. Start a revolution, one sticky note at a time. 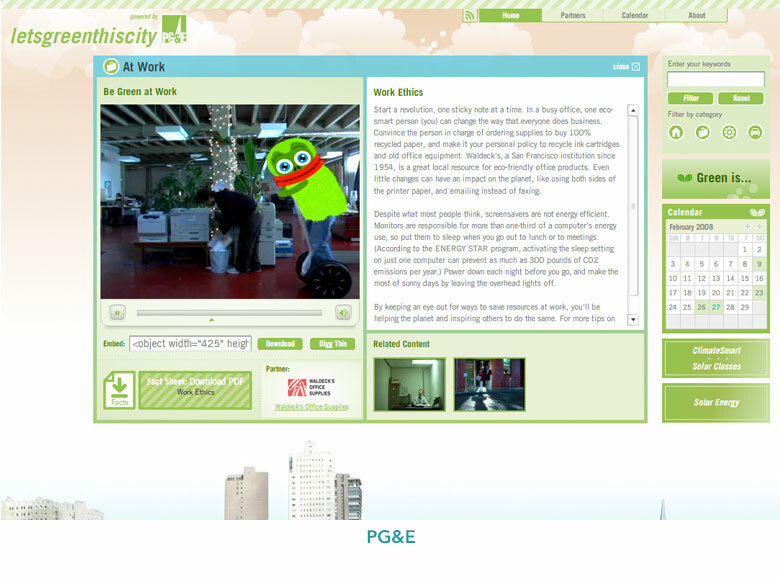 In a busy office, one eco-smart person (you) can change the way that everyone does business. Convince the person in charge of ordering supplies to buy 100% recycled paper, and make it your personal policy to recycle ink cartridges and old office equipment. Waldeck’s, a San Francisco institution since 1954, is a great local resource for eco-friendly office products. Even little changes can have an impact on the planet, like using both sides of the printer paper, and emailing instead of faxing. 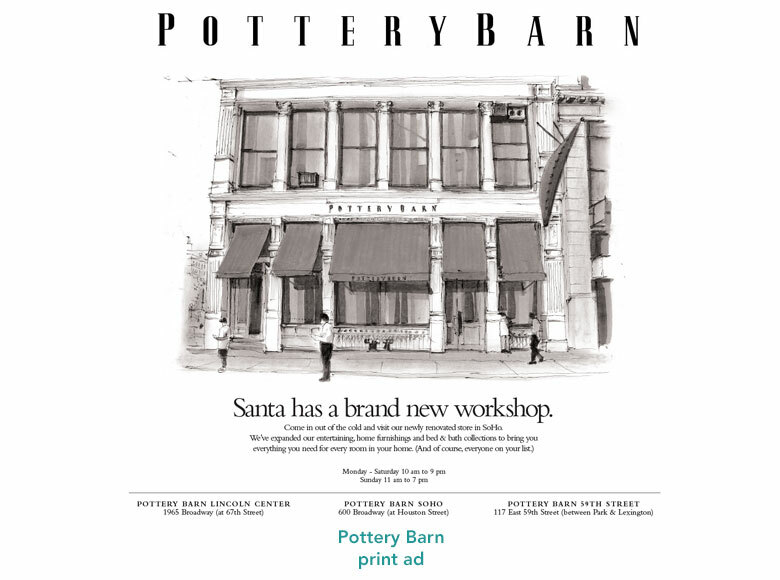 Santa has a brand new workshop. For those of us who are serious about skincare and yet still long for a spa retreat, Studio Kaki is truly an oasis. Nestled in the boutique shopping district of Union Street, Katherine Coleman's micro spa is the perfect blend of leading-edge skincare and relaxed tranquility. What began with a tiny cult following in Katherine’s Russian Hill studio apartment has now become a full-service luxury spa with a devoted clientele. Katherine blends timeless beauty secrets with the very latest in skin care technology, incorporating knowledge she gleaned from her time in France with her years of professional experience at San Francisco’s top spas.